In current and past professional positions, Dr. Patrick assists faculty from a variety of clinical areas in formulating research questions, selecting study designs, drafting research protocols, developing data collection instruments, conducting statistical analyses, and writing abstracts, manuscripts and grants. She also serves in a project manager capacity for numerous studies, supervising the day-to-day research activities, including recruitment, data collection and data entry. At the Westchester Institute of Human Development, in addition to promoting and leading research, Dr. Patrick serves as the Director for the Seminar in Evidence-Based Methods (SEBM) course under the Leadership Education in Neurodevelopmental and related-Disabilities (LEND) Program (funded by training grants authorized under the Maternal and Child Health Services Block Grant). SEBM assists trainees in developing skills in finding, evaluating and applying evidence for use in practice, teaching, policy and research. This 68-hour, 2-semester course is a combination of didactic sessions, evidence-based interdisciplinary team projects, and oral and poster presentations. 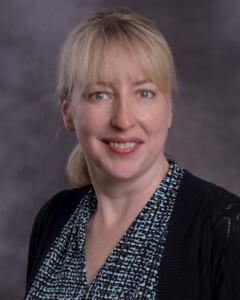 In addition to her research experience, Dr. Patrick has over 15 years of experience with public health program development, management and evaluation. More specifically, from 2004-2018 she served as Data Manager for the Safe Babies New York program (formerly the New York Shaken Baby Prevention Program). In that role, she contributed to the development of patient education and staff training materials aimed at educating parents and caregivers on the dangers of shaking an infant, how to cope with infant crying, and safe infant sleep positioning. Dr. Patrick also coordinated material distribution to support training sessions to facilitate program implementation at 70 hospitals in New York City, Long Island and the lower Hudson Valley region. She maintained an ongoing hospital network to collect compliance data and feedback for grantor reporting and program improvement. Safe Babies New York was successful in educating parents/caregivers of over 1 million babies born in the targeted areas of New York State. Research conducted on the efficacy of the program within the lower Hudson Valley region showed a 75% reduction in the incidence of shaken baby syndrome/abusive head trauma (from 2.8 cases per year in the 5-year control period to 0.7 cases per year in the 3-year post-implementation period) (Pediatrics, 2011). Dr. Patrick’s research interests/activities focus on clinical research among individuals with disabilities, specifically with respect to chronic disease prevalence, management and outcomes, as well as on autism screening, child abuse and patient education. She is also particularly interested in the use of assistive technology to promote patient involvement in healthcare decision-making. Edwards. K. S., Darrow, C., Lieber, C., Miller, E., Kronn, D., & Patrick, P. A. (2002). Genetics Faculty Development for Generalists: Impact on Clinical Practice and Teaching. Poster, Annual Meeting of the Pediatric Academic Societies, Baltimore, MD. Juster, F., Edwards, K., Patrick, P. A., & Caruso, L. (2003). Children with Special Needs Selective: Curriculum Evaluation. Poster, Annual Meeting of the Association of American Medical Colleges, Washington, DC. Harrington, J. W., Brand, D. A., Edwards, K. S., & Patrick, P. A. (2003). Parental Beliefs About Autism: Implications for Primary Care. Poster, Annual Meeting of the Association of University Centers on Disabilities, Bethesda, MD. Harrington, J. W., Rosen, L., Garnecho, A., & Patrick, P. A. (2005). Parental Perceptions and the Use of CAM Practices for Children with Autistic Spectrum Disorders. Poster, Annual Meeting of the Pediatric Academic Societies, Washington, DC. Kronn, D., Patrick, P. A., Brenner, S. K., Carter, E. M., Davar, U., Zucker, A., Parton, P. & Edwards, K. (2005). Children Evaluated for Medium Chain Acyl CoA Dehydrogenase Deficiency (MCADD): Parental Experiences. Poster, 24th Annual Conference of the National Society of Genetic Counselors, Los Angeles, CA. Sriraman, N. K., Edwards, K. S., & Patrick, P. A. (2006). Children’s Drinking Water: Parental Preferences and Implications for Fluoride Intake. Poster, Annual Meeting of the Pediatric Academic Societies, San Francisco, CA. Patrick, P., Cohn, L., Duran, M., Hasman, C., Jaffe, F., Jacques, V., Kapp, S., Parker, E., Whitelaw, A., & Edwards K. (2007). Genetic Testing: Informational Needs and Preferences of Parents and Adult Siblings of Individuals with Developmental Disabilities. Poster, Association of University Centers on Disabilities (AUCD) Annual Meeting and Conference, Washington, DC. Patrick, P. A., Visintainer, P. F., Shi, Q., Weiss, I. A., & Brand, D. A. (2011). Vitamin D and Retinopathy in Adults with Diabetes. Poster, Annual Meeting of the American Public Health Association, Washington, DC. Towle, P. O, Patrick, P. A., Hecht, E., O’Sullivan, C., Blumenthal, B., Noyes, D. M., & Siegenthaler, K. (2015). Autism Screening for the Youngest Children: Emerging Instruments. Poster, Annual Meeting of Autism CARES, Bethesda, MD. Blumenthal, B., Towle, P. O., & Patrick, P. A. (2015). Feasibility Issues of Current Autism Screening Instruments. Poster, Annual Meeting of Autism CARES, Bethesda, MD. Manaster, L., Panagos, A., Srakhao, V., & Patrick, P. A. (2015). Transition Support Services: A Policy Brief. Poster, Annual Meeting of Autism CARES, Bethesda, MD. Appel, P., Turano, N., Maltby, J., Brickel, N., & Patrick, P. A. (2015). A Study of Educators’ Perceptions of the Role of Self-Determination in the Transition from High School to the Postsecondary Environment. Poster, Association of University Centers on Disabilities (AUCD) Annual Meeting and Conference, Washington, DC. Davies, D. K, Stock. S. E, Patrick, P. A, & O’Hara D. (2015). Development and Evaluation of a Universally-Designed App to Support Self-Directed Diabetes Education and Self-Management for Individuals with Intellectual Disabilities. Poster, Association of University Centers on Disabilities (AUCD) Annual Meeting and Conference, Washington, DC. Marcus, E. H., Patrick, P. A., & Edwards, K. S. (2015). Teachers’ Awareness and Utilization of Existing and New Assistive Listening Technologies within a School Setting. Poster, Association of University Centers on Disabilities (AUCD) Annual Meeting and Conference, Washington, DC. Manaster, L., Panagos, A., Srakhao, V., & Patrick, P. A. (2015). Transition Support Services: A Policy Brief. Poster, Association of University Centers on Disabilities (AUCD) Annual Meeting and Conference, Washington, DC. Towle, P. O., Patrick, P. A., Hecht, E., & Blumenthal, B. (2015). Is Earlier Better? Screening Very Young Children for Autism. Poster, Association of University Centers on Disabilities (AUCD) Annual Meeting and Conference, Washington, DC. Ampil, A., Bar-Eli, R., McDuffee, M., Santos, C., & Patrick, P. A. (2016). Health Care Transition for Individuals with Intellectual and/or Developmental Disabilities: A Policy Brief. Poster, Association of University Centers on Disabilities (AUCD) Annual Meeting and Conference, Washington, DC. Anderson, A., Charney, D., Currao, L., McKenzie, T., Torres, Y., Borras, K., & Patrick, P. A. (2016). Perspectives of Librarians and Staff on Public Library Accessibility for Individuals with Disabilities. Poster, Association of University Centers on Disabilities (AUCD) Annual Meeting and Conference, Washington, DC. Burr, K., Fan, J., Mislow, S., Sparano, J., Lequia, J., & Patrick, P. (2017). Library Accessibility for Individuals with Intellectual and/or Developmental Disabilities. Poster, Association of University Centers on Disabilities (AUCD) Annual Meeting and Conference, Washington, DC. Shani, D., Brand, D. A., & Patrick, P. A. (2003). Unrecognized thyroid dysfunction in patients with cancer. Supportive Care in Cancer, 11, 63-65. Brand, D. A., Viola, D., Rampersaud, P., & Patrick, P. A, Rosenthal WS, Wolf DC. (2004). Waiting for a liver—hidden costs of the organ shortage. Liver Transplantation, 10, 1001-1010. Chang, L. L, Grayson, M. S, Patrick, P. A., & Sivak, S. L. (2004). Incorporating the fourth year of medical school into an internal medicine residency: effect of an accelerated program on performance outcomes and career choice. Teaching and Learning in Medicine, 16, 361-364. Brechtl, J. R., Patrick, P. A., Visintainer, P., & Brand, D. A. (2005). Predictors of death within six months in patients with advanced AIDS. Palliative & Supportive Care, 3(4), 265-272. Ashe, D., Patrick, P. A., Stempel, M. M., Shi, Q., & Brand, D. A. (2006). Educational posters to reduce antibiotic use. Journal of Pediatric Health Care, 20(3), 192-197. Harrington, J. W, Rosen, L., Garnecho, A., & Patrick, P. A. (2006). Parental perceptions and use of CAM practices for children with Autistic Spectrum Disorders in private practice. Journal of Developmental & Behavioral Pediatrics, 27(2 Suppl), S156-S161. Harrington, J. W., Patrick, P. A., Edwards, K. S., & Brand, D. A. (2006). Parental beliefs about autism: Implications for the treating physician. Autism,10(5), 452-462. Brand, D. A., Patrick, P. A., & Grayson, M. S. (2008). Mid-career research training for the generalist physician: case study of a balancing act. Teaching and Learning in Medicine, 20(2), 180-185. Patrick, P. A., Jibilian, A., Herasme, O., Valencia, J., Hernandez, E. C., Jurado, S., & Aguais, J. (2009). The efficacy of a U.S.-based medicine recycling program delivering antiretroviral agents worldwide. Journal of the International Association of Physicians in AIDS Care, 8(1), 25-29. Sriraman, N. K., Patrick, P. A., Hutton, K., & Edwards, K. S. Children’s drinking water: parental preferences and implications for fluoride exposure. Pediatric Dentistry 2009; 31(4):310-5. Hurewitz, A. N., Khan, S. U., Groth, M. L., Patrick, P. A., & Brand, D. A. (2011). Dosing of unfractionated heparin in obese patients with venous thromboembolism. Journal of General Internal Medicine, 26(5), 487-491. Osband, Y. B., Altman, R. L., Patrick, P. A., & Edwards, K. S. (2011). Breastfeeding education and support services offered to pediatric residents in the U.S. Academic Pediatrics, 11(1), 75-79. Grayson, M. S., Newton, D. A., Patrick, P. A., & Smith, L. (2011). Impact of AOA status and perceived lifestyle on career choices of medical school graduates. Journal of General Internal Medicine, 26(12), 1434-1440. Patrick, P. A., Visintainer, P. F., Shi, Q., Weiss, I. A., & Brand, D. A. (2012). Vitamin D and retinopathy in adults with diabetes. Archives of Ophthalmology, 130(6), 756-760. Patrick, P. A., Rosenthal, B. M., Iezzi, C. A., & Brand, D. A. (2015). Timely pain management in the emergency department. Journal of Emergency Medicine, 48(3), 267–273. Towle, P. O., & Patrick, P. A. (2016). Autism spectrum disorder screening instruments for very young children: a systematic review, Autism Research and Treatment, https://doi.org/10.1155/2016/4624829. Spiegler, P. (2017). Intensity of vasopressor therapy as a prognostic indicator in patients with septic shock. Journal of Pain and Symptom Management, https://doi.org/10.1016/j.jpainsymman.2016.12.333.